Dr. Arguello attended Florida International University where he received his undergraduate degree in chemistry and receiving his Doctorate of Dental Medicine degree at Boston University, combined his lifelong passions for medical science, computer technology and the visual arts, and emerged as a revolutionary force in contemporary dentistry. 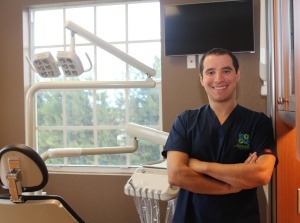 Since graduation, Dr. Arguello has been on the forefront of post graduate dental education. He understands that dentistry is a dynamic entity and that is why he attends monthly continuing education classes to make sure he is always on top of new techniques, materials and equipment. He is a sustaining member of American Dental Association (ADA), Florida Dental Association (FDA), Broward county dental association, the International Dental Implant Association and the Atlantic Coast Dental Research. Dr. Arguello is a comprehensive cosmetic, implant, and family dentist who takes great pride in treating his patients and keeping their smiles healthy and beautiful. 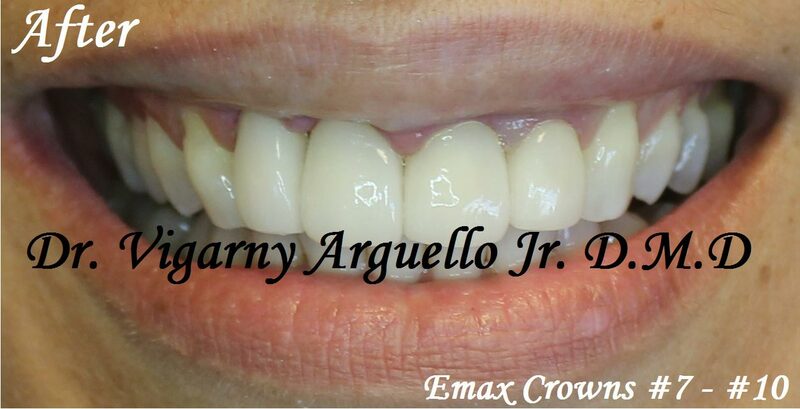 From a simple filling to full mouth rehabilitation, Dr. Arguello places utmost importance in using the finest materials and delivering an exquisite result, all the while forming lasting relationships with his patients. Dr. Arguello believes that everyone deserves the best smiles possible and excellent oral health. By paying close attention to our patients’ comfort, appearances and dental health, we make sure all our patients receive the results they are looking for. With state-of-the-art facility and equipment at his South Florida office, he practices in an environment uniquely designed for your comfort and safety. His staff is as committed as he to your treatment and satisfaction. The entire Arguello Dentistry team focuses on patient comfort and clinical excellence and we are a provider for most dental insurance plans. We offer a full range of dental services such as routine cleanings, crowns, composite fillings, root canals, porcelain veneers, Invisalign, implants, oral surgery, dentures and complete smile makeovers. We also offer professional, affordable teeth whitening, so you can remove decades of staining and brighten your smile in about an hour. The goal of these treatments is to allow you to look naturally refreshed and rejuvenated. Environmentally Friendly: Arguello Dentistry is a fully digital practice. This enables us to greatly reduce paper waste to help the environment. We made sure to invest in only the best equipment that can be autoclaved at very high temperatures. This ensures that no bacteria, spores or other harmful organisms/materials will survive. Accessibility is another key feature in our practice. Most practices are only open few days a week. We are open 6 days a week, Saturdays by appointment only and are also open after hours with appointments only. Responsibility is a crucial cornerstone in understanding the belief system of Dr. Arguello. That is exactly why his name is on the door because he wants to be responsible for your oral health. One key aspect in our dental practice is trust. We know that dentistry can become costly especially if it is put off and that is why we will work to make sure we can find a budget that works for you to accomplish a healthy smile. Netflix – we offer our patients Netflix in all our operatories so they can relax and be entertained. Music – We offer iPod loaners so that you can jam to your favorite songs as we work on your smile. Oral sedation- Nervous? Dr. Arguello can prescribe a variety of medications to make this a pleasant experience. Nitrous sedation – Laughing gas produces a sense of euphoria and relaxation equal to a sensation of just falling asleep and feeling fantastic at the same time. With nitrous sedation you can actually look forward to coming to the dentist! Bring your headphones and experience an incredible journey of imagination while Dr. Arguello handles the rest in a safe secure environment.